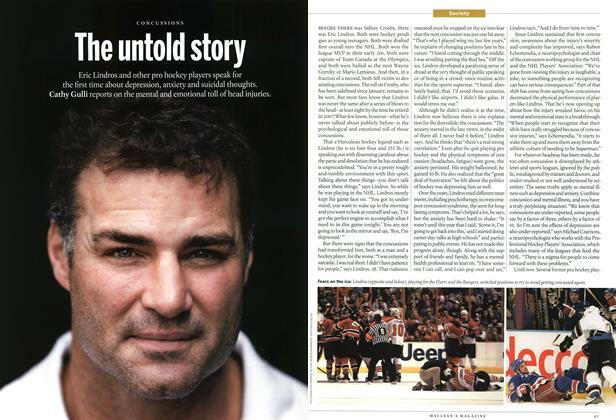 Eric Lindros and other pro hockey players speak for the first time about depression, anxiety and suicidal thoughts. 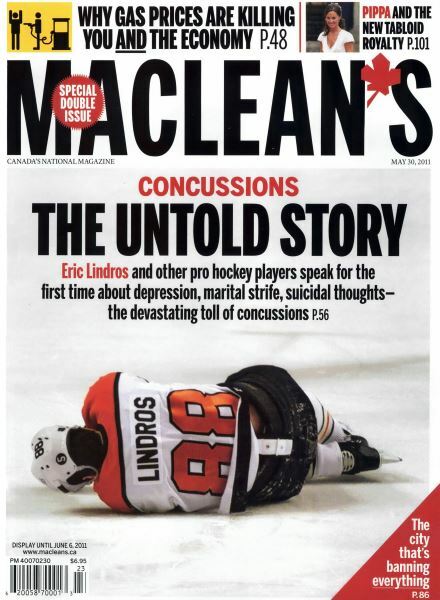 Cathy Gulli reports on the mental and emotional toll of head injuries. It’s not just drivers feeling the heat. 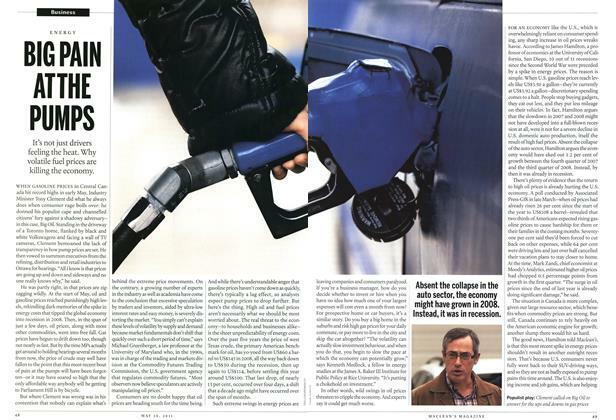 Why volatile fuel prices are killing the economy. A SNIPER by trade, Howard Wasdin was a special forces commando attached to the U.S. military’s most covert unit—the same squad that would later assassinate Osama bin Laden. His new book, SEAL Team Six, offers a rare glimpse into the top-secret world of America’s best-trained warriors. CAN YOU FIGHT A FLOOD BY CREATING ONE? DID TORTURE HELP THE U.S. FIND BIN LADEN?